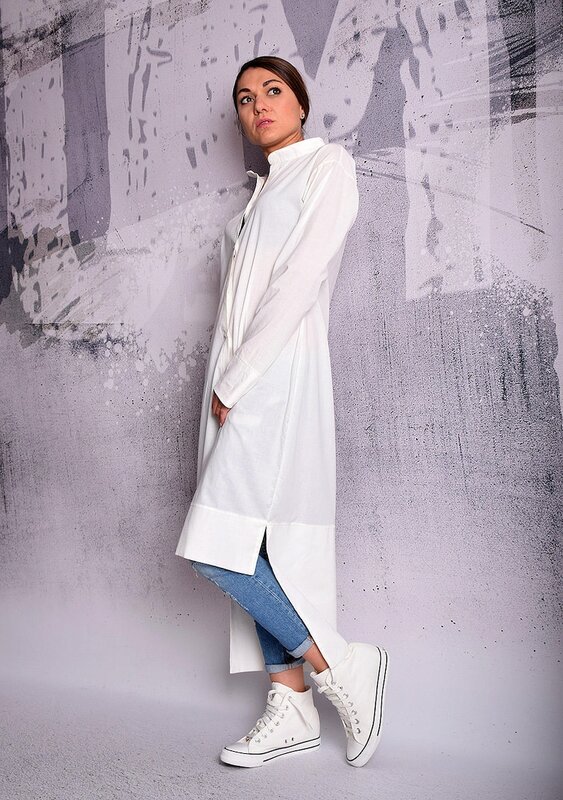 White Shirt, Extra Long Shirt, Asymmetric Shirt, Long Sleeves Shirt, Tunic Shirt, Shirt Dress, Casual Shirt, Summer Shirt. White cotton asymmetric shirt with long sleeves and buttons. The shirt has two slits on the sides. Waanzinnig mooie blouse! Ik ben klaar voor de zomer!